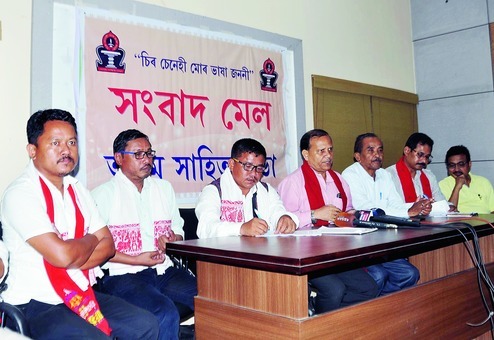 Launching a Statewide campaign against superstition and other social evils as well as to mobilise public opinion against the Citizenship (Amendment) Bill, 2016, the Asam Sahitya Sabha has directed all its regional units to hold ‘Raijmel’ (public meetings) among different strata of society up to June 30. “Instructions have been given to all the regional units of the Sabha to organise meetings in different areas of the State, including the rural pockets, far-flung localities as well as tribal areas. In view of the prevailing situation in the State, special emphasis would be given on creating awareness against superstition and on inculcating scientific temperament among the people,” Sabha general secretary Padum Rajkhowa said. He said the public meets would also focus on uniting people in favour of demand for constitutional safeguard to the people of Assam, to protect the culture, heritage and the very identity of the indigenous communities of the State. “As per a decision taken at the last steering committee meeting of the Sabha, it has been decided that different regional and district units of the Sabha would hold meetings in all the districts of the State till June 30. Simultaneously, we would continue mobilising public opinion against the Citizenship (Amendment) Bill, 2016 through such meetings,” he added. The Sahitya Sabha has also decided to work as a catalyst among various other literary bodies of the State to work for maintaining peace and harmony in society, especially after the final draft of the NRC is published. The literary body also reiterated its demand to make the mother tongue and State language compulsory for all the government and non-government jobs.